My grandparents were married 65 years, my parents are about to hit 42 years, and Tony and I have been married for a whopping 19 months. 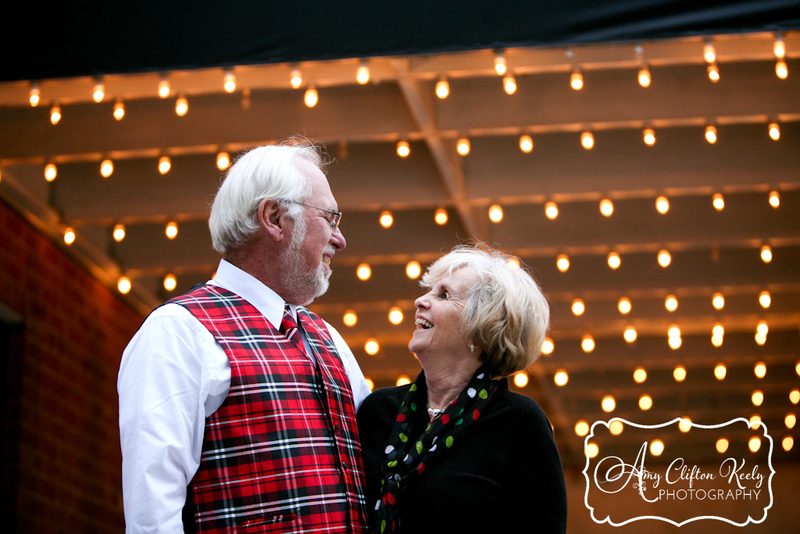 It was so special for me to be the McGraths’ family photographer for their 50th anniversary celebration in Downtown Greenville SC. Marriage is a wild and crazy and wonderful ride, and it is such a gift for a family to have the influence of parents and grandparents with long, successful marriages. To celebrate their parents’ 50th anniversary just before Christmas, the McGraths planned a whole afternoon of surprises, including a sleigh ride with Santa himself, dinner out, and a surprise family portrait session. What better way to celebrate this milestone for their family than with new memories and the photographs to preserve them? The whole family! I love their Christmasy wardrobes! I love the timeless look of this portrait. 50 years and still having tons of fun together! Happy, Happy Anniversary Mr and Mrs McGrath! Wishing you and your family many years to come of happiness, love, and laughter. To view the McGrath Family’s complete portrait gallery, please CLICK HERE. You may contact the family for the password. Also, click below for a sweet little slideshow of their session. And as always, please leave a comment below to show us some love! 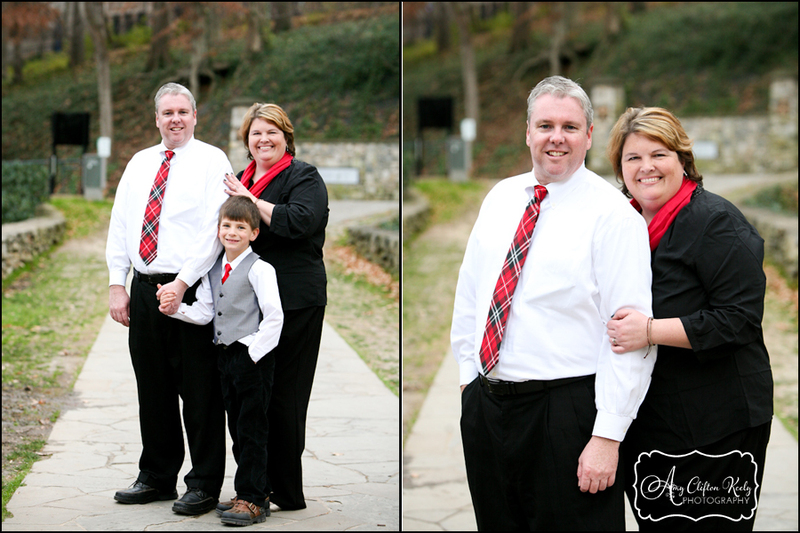 This family was so much fun to photograph in Downtown Greenville SC! They gathered in Greenville from various parts of the east coast to celebrate Thanksgiving together, and they wanted to capture their special family bonds with a portrait session. We wandered through Falls Park, the Liberty Bridge, and the Peace Center–several of the highlights of Downtown Greenville. I loved laughing and talking to this family, and we quickly discovered that we have some mutual acquaintances….I love 6 degrees of separation stories, we’re all connected! 🙂 Kleins, I hope that you enjoy these photos and the fun memories that accompany them. It was truly a pleasure meeting you and photographing this time in your lives. 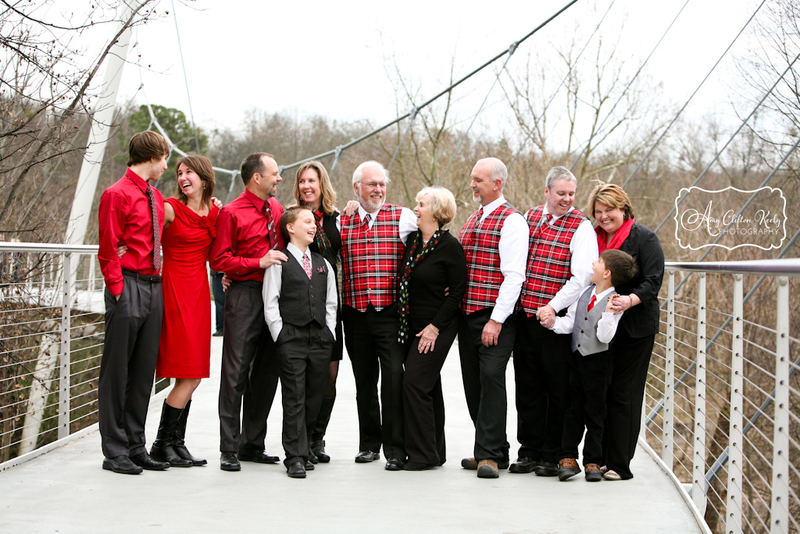 I think it is so important to continue photographing your family even after the kids are grown! Every phase of a family’s life is special and important, not just when they’re “little.” The Kleins celebrated their relationships with Mom and Dad, son Paul, and Aunt Sara. I loved it!! This shot is definitely a favorite–brother and sister, mom and son. Seriously Kleins, y’all are so cute!! You may also view their full session in the video slideshow below. Enjoy! And as always, please leave a comment below to show us some love!